Kate Simko has carved an international career as an electronic music producer, film composer, live performer, and DJ. Hailing from Chicago, Kate’s music reflects the influences of the city’s underground sounds, as well her background in classical piano and jazz music. While pursuing a Bachelor of Music from Northwestern University, Kate began DJing on WNUR radio and taking jazz piano lessons, which inspired a shift from classical piano to composing. 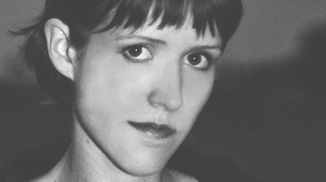 In 2002, Kate studied composition in Santiago, Chile, and recorded her first album Shapes of Summer with Chilean electronic producer Andres Bucci. The album was released on Traum Records and the duo was named one of the “Next 100 Artists” by URB Magazine. A prolific composer, Kate’s musical output includes three albums, various EPs, film soundtracks, and classical compositions. Kate’s CV includes a remix of Philip Glass’s Houston Skyline which was played on radio stations across the USA and appeared in Billboard’s Top 100 Classical Chart. In 2008, Kate composed her first feature-length film score for the PBS documentary The Atom Smashers. This soundtrack was then released on Ghostly International. More recently, Kate created sound design for the Barbican Centre in 2011, her hit song Go On Then feat. Jem Cooke topped the charts in house music in 2012, and in 2013 her songs were licensed to ABC Television and Giorgio Armani. Kate has established her reputation as a performer with interactive audio-visual live sets and cutting edge DJ mixes. Named one of Chicago’s “Top 10 DJs” by XLR8R Magazine, Kate has played clubs and festivals around the world, including past shows at Berghain (Berlin), Fabric (London), Rex Club (Paris), Verboten (New York), Millennium Park (Chicago), Movement Festival (Detroit), Montreal Jazz Festival, Eleven (Tokyo), D-Edge (Sao Paulo). Currently based in London, Kate is a post-graduate student in Composition for Screen at the Royal College of Music. Her current projects include co-scoring a six-part documentary TV series, preparing an album for release in 2014, and the debut of her project London Electronic Orchestra, which meshes her two major musical influences: live orchestra and electronic music.